Faculty members from the Macalester Classical Mediterranean and Middle East department offer a January program approximately every other year. 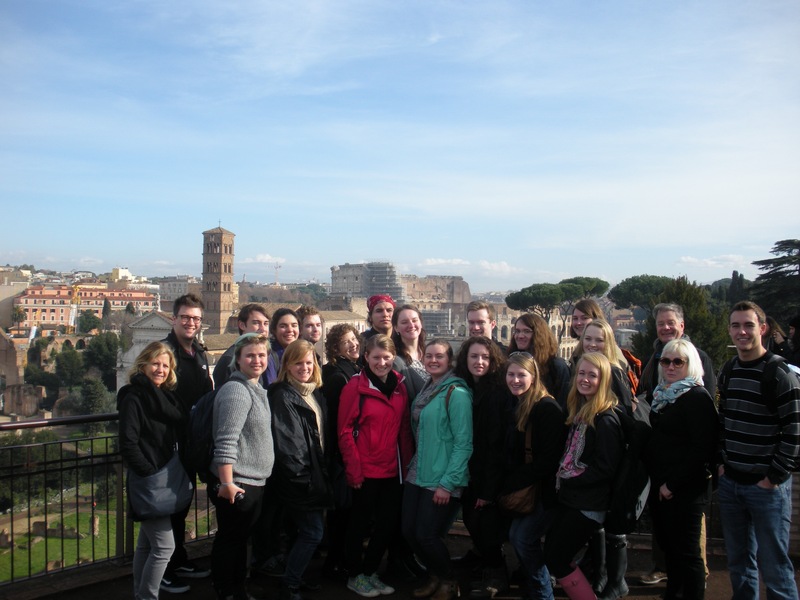 These programs are available to all Macalester students and have included a regular course on ancient Rome and Pompeii. January programs to other destinations have also been offered; one explored the history and archaeology of Turkey, another combined the popular Rome program with travel to Alexandria and Cairo. The department is offering the next “January in Rome” course in January of 2020. Course Description: A survey of the major spaces, surviving monuments and artifacts of the city of Rome from the earliest occupation of the Palatine hill around 1000 BCE to the construction of the first major Christian buildings by the emperor Constantine in the 4th century CE. Students also learn architectural building techniques, systems of dating based on types of stone and brickwork, problems in properly identifying surviving buildings, the iconography of Roman political sculpture, and techniques of Roman copying and reuse of original Greek art. We consider the incorporation of Roman monuments into subsequent architecture, including Fascist political (re)use of archaeology, as well as problems of conservation in the context of the modern city. Finally, visits to the excavated cities of Pompeii and Ostia make visible the lives and activities of those lost in the literary record, including women and slaves. Student evaluation is based on participation in group events, a presentation, two on-site projects, two quizzes, and completion of a set of self-guided site visits. (2 credits, with 2 additional credits available through completion of an independent study program the following spring term). Course counts toward Classical Mediterranean and Middle East major or minor. The “JANUARY IN ROME” 2018 DATES, PROGRAM DETAILS, and APPLICATION can be found here. The Student Waiver can be found here. The Parent Waiver can be found here. January in Rome, 2016 course participants.